Lot of interest for partial kit, but would rather sell the entire kit. Last edited by Mr_White; 01-23-2013 at 02:54 PM. Will give good price for the entire kit, for a no hassle deal picked up. Rear bumper is in excellent shape. Front has the little crack you can see in the photos. Rockers are in good shape. Somebody who actually has some $$ will make a good deal on this kit. I like the kit and would consider buying it but the image quality is bad and I am not sure how bad the crack really is in that lighting. The front bumper for sale has a crack on the underside of the splitter section, left side. That will cost maybe 100-200 to fix, depending on your paint / body shop. Any other crack is within the prep that a regular paint and body shop will do on a body kit when you by it new. 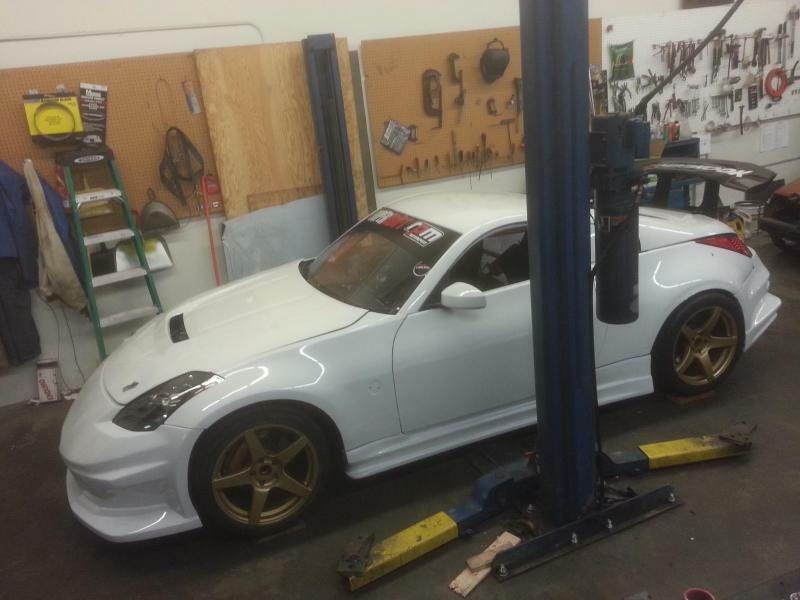 Since the C-West quality is so high, the body shop doesn't have to spend time working on the fitment of this kit, that time they can instead use to sand and prime this kit to perfection. Rear bumper and rockers are essentially damage free. Either way you are planning to get a new body kit, you need to paint it, so no difference to any other kit, except front lip repair adding a little cost at bodyshop. But again, you will save on fitment work. I will hook a serious buyer up big time. Front bumper repair and paint to OEM quality will run appr 350. Just paint of a new kit 250. Rear bumper will need a 100 buffing. Rockers will be free of cracks and will need a 100 buffing per side. This is for a normal solid color. If you want pearl and multilayers it will be more expensive. If you want a quick race car job, it's going to be cheaper to prep. Compared to buying a new kit, it's the same overall prep cost, and will look like a new kit when done. The kit is still for sale. I painted the second kit and had some cracks fixed. It took the paint shop 3 days and in that time they painted the entire car + interior as well. If you want the advertised (black) C-West kit that a paint shop can prep and paint for you in less than a week, and if you are serious about it, I will give a very good deal on it. Last edited by Mr_White; 03-09-2013 at 09:21 AM. Shipping will prob run appr $450 for both bumpers and the rockers but I am willing to help a little on that. PM a solid offer though if you actually plan on buying. Last edited by Mr_White; 07-21-2013 at 09:40 AM. Just realized that you replied with shipping info. I need to wait until I know later this week how much I'm going to owe uncle Sam this year, but I should be able to send you a reasonable offer once I hear back from the tax guy. very interested and can pick up immediately.. I PM you my contact number give me a text or call to work something out thanks! 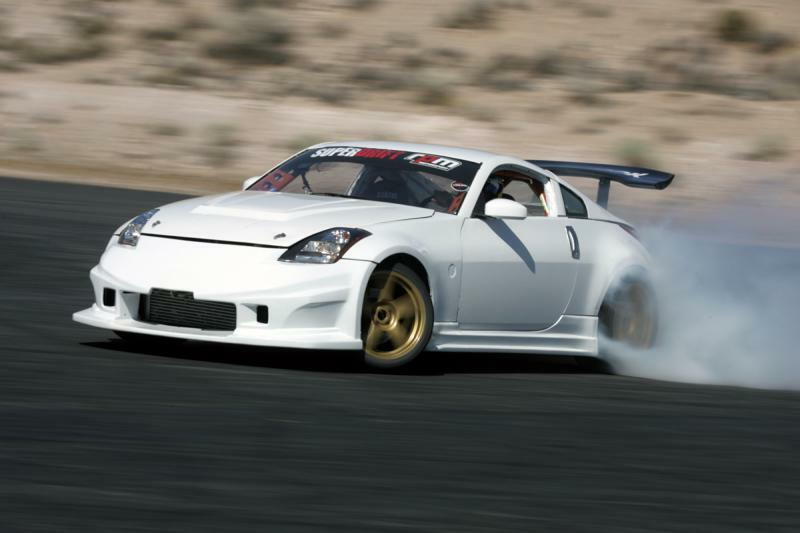 This is one of my favorite kits on the 350z. Just flows so well..